Actor turned pastor Kennedy Mazimpaka has revealed that he uses acting as one way to show the evil in societies that makes preaching easier because people learn first through entertainment. People have been wondering how he manages both preaching and acting as a comedian but to him he seems to be enjoying it. Mazimpaka says it is a good platform for him to shade light on bad things in a comic way hence luring people into believing in God. 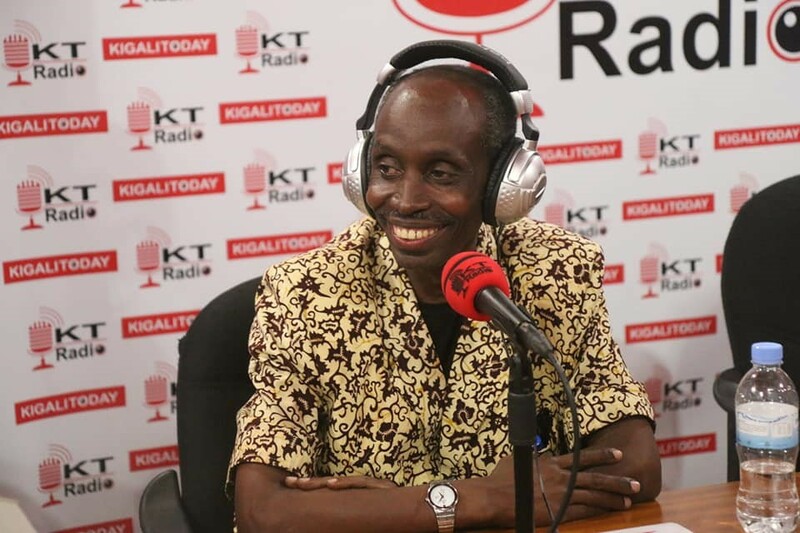 While making appearance on KT Radio on Monday in evening show dubbed Dunda, Mazimpaka was asked how he juggles both evangelism and acting at the same time. “God gave me a talent of acting and through acting I always pin point evil things and in that way people get to know how to separate good from evil and it makes my preaching easier since people know exactly the impacts of evil on mankind,” says Mazimpaka. He added, “Actually being an entertainer makes my preaching easier because while acting I promote bad things happening in societies which can’t be easily spotted,” he said. The 59 years old deejay, actor, comedian and pastor credits his wife for having played a big role to usher him into the right path of obeying God. Although he is a pastor, Mazimpaka swears never to stop listening to music and acting because it’s God given talent. He has been in theater for 45 years and through his career he has appeared in block buster international movies like Shooting the Dogs, Sometimes in April and a 100 Days all acted after 1994 genocide against Tutsi. Currently, Mazimpaka performs with Mashirika performing arts together with his comedian son Arthur Nkusi. Born and raised from Uganda into a God fearing family, Mazimpaka started exploring his deejay talent at early age and he is among the first deejays that mixed music in early 80’s in Kampala’s night clubs like club clouds.